Producing more parts and reducing rejects is a very important task. In order to do so, it is necessary to adopt control systems which allow the operator to adjust in a timely and preventive manner all the errors that may arise during production. The market offers numerous types of measuring systems able to provide precision and objectiveness. Among these, the optical measuring systems are considered one of the best solutions due to their ability to grant efficient performances, which are difficult to emulate. Today VICIVISION, thanks to its long-standing experience in the metrology sector, would like to present an even more complete solution to the international companies: the combination of optical and tactile measuring in one machine that offers the possibility to obtain hundreds of measurements in just one cycle. 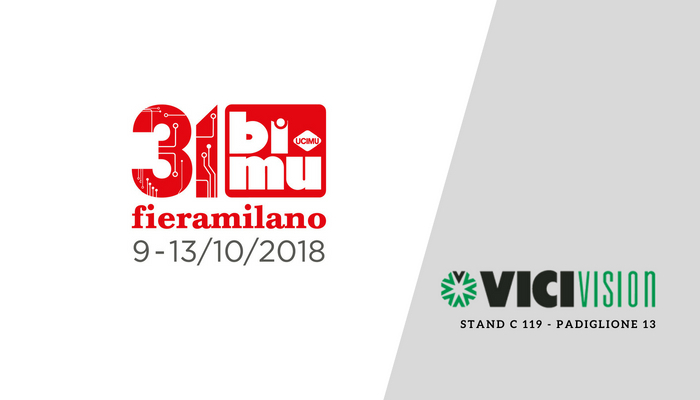 VICIVISION will present at BIMU 2018 a new method for measuring shafts and turning parts: while the optical system provides static, geometric and thread measurements, form and nut measurements, the touch system detects features that are not optically measurable. You can find us at booth C 119 in Hall 13. During the 5-day exhibition you will be able to see first-hand the features of our showcased machine. There is no better way to understand the real capabilities of our machines than to see them in action, in order to imagine all the advantages that they could bring to your production department. Our technicians, with all their expertise, will gladly talk and discuss with you so that they can come up with the best solution for your business. VICIVISION offers solutions for turneries and mechanical workshops. The constant interaction with its clients allows us to fully understand their daily production issues and provide technological solutions that can improve their production process. Free admission tickets are available for shafts and turned parts manufacturers. write email address, name and surname.